In November 2017, Xiaomi had launched its trade-in-programme, which allows potential customers to exchange their old smartphones with a mouth-watering handset from Mi store. The Chinese smartphone manufacturer joined hands with Cashify to make the offer available across all Mi Home stores. 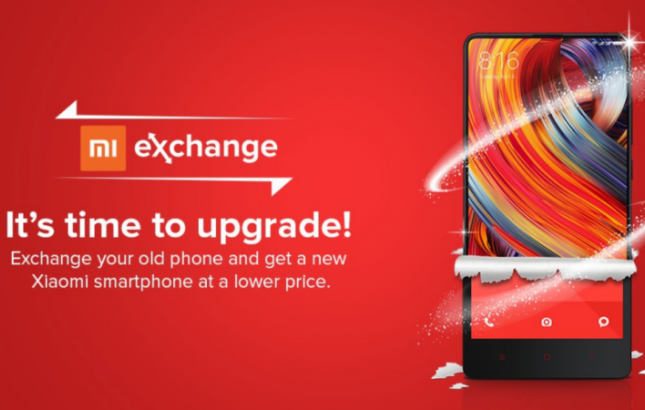 Meanwhile, on Thursday Xiaomi has expanded the exchange offer to its website Mi.com. Under the latest offer on Mi website, customers can get an instant exchange coupon and may use the same to buy a new Xiaomi smartphone online. Customers, who are waiting eagerly to avail the offer may go through the following steps. 1. Go to the dedicated page on Mi.com and click on 'get exchange coupon' option. 2. Select the smartphone you want to exchange. 3. The company will show the exchange value based on the device's condition and current market value. 4. Accept the exchange value using IMEI number if you wish to do. 5. After the acceptance, your MI account will be credited with the exchange value coupon. 6. Place a new handset order as per your choice. 7. Use the exchange value coupon during check out. 8. Last but not the least, hand over your old gadget at the time of the delivery of your new Xiaomi Mi smartphone. Talking about other terms and conditions, customers need to hand over their old device in working condition to avail the offer. Moreover, all the screen locks along with the accounts should be disabled and the handset should not be physically damaged. Consumers are allowed to exchange only one device at a time. "Please ensure that the device you wish to exchange should not have cracks on screen, body dents and cracks. Moreover, if your device maker provides you with Cloud-based security services then please disable the same," Xiaomi wrote in its blog post. The exchange coupon will be valid only for 14 days from the day of its issuance. The total amount will be refunded in case the old device is found incompetent.